The mission of the SAFE program is to enhance the safety of our community and to assist in providing patients with equipment or assistive devices that they might not be able to afford on their own. 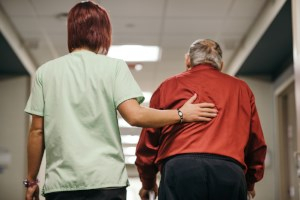 Established by our own employees in Rehab Services, the program meets the important need to keep patients safe in their own homes who are recovering from an injury, disease or surgery. The expense of recovery can prevent people from being able to afford to make their homes as safe as possible to prevent falls or assist in their ease of mobility. In many cases, insurance simply does not pay for such items. Through our qualifying process, patients are helped by staying safe in their homes each year and your support helps this program continue to impact lives throughout Fremont and surrounding communities.